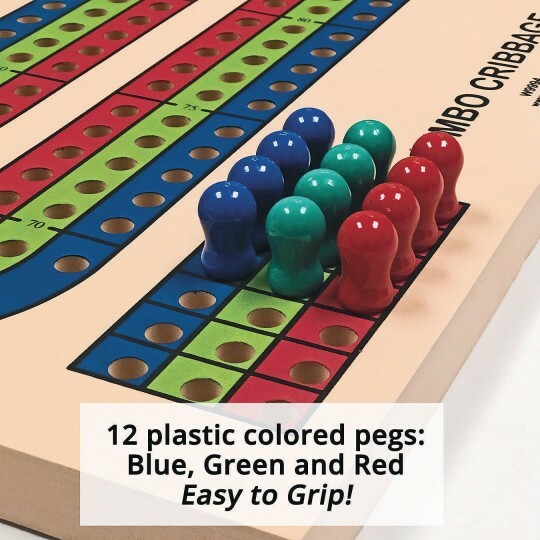 Everything about this board screams Bigger and Easier for your clients – from the huge 34"L x 14-5/8"W x 1" thick board to the 12 easy to grasp 1-3/4"L brightly colored pegs. The board is made of tough yet lightweight EVA foam. 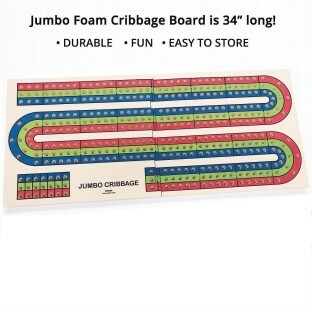 This game board is perfect for teaching Kids to play Cribbage as well as easy to see and use for Seniors. 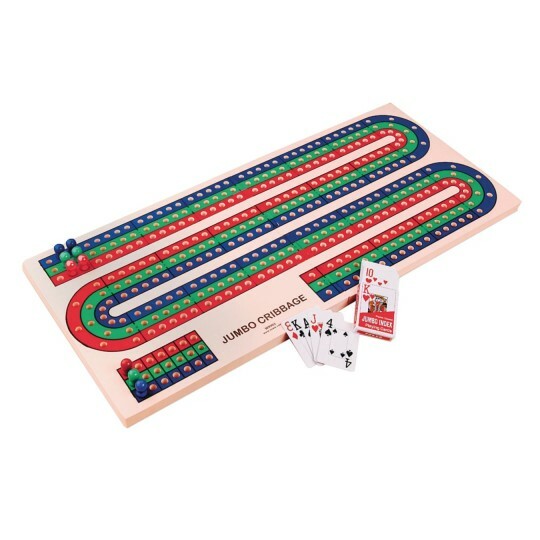 I purchased this board for my dad who has macular degeneration and very shaky hands. 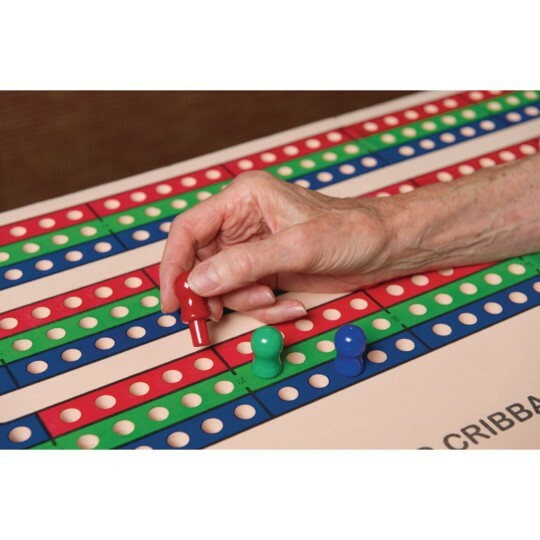 A regular sized board is too small to manage but this one is awesome! The foam is sturdier than I thought it would be and the pegs are large and easy to handle. 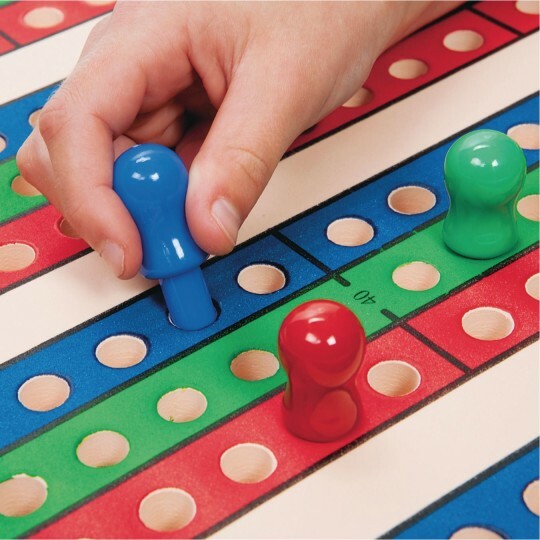 The board is two pieces that fit together jig saw style for easier storage. . He lives in assisted living and is working on getting some players together! Nice product - Great customer service!